Our interconnectivity with trees and plants is intimate and vast. We build many of our homes with boards from trees. We create our furniture, tools, sculptures and other household implements from trees. All our food is from plants directly, or indirectly by building and nourishing the animals we eat. We couldn’t survive without the oxygen that plants give off as their waste gas; trees and plants feed on the carbon dioxide that we and all animals exhale. Our solid waste can serve as fertilizer for plants as well. Many people heat their homes with firewood. Our clothes and fabrics are made from plants: cotton, hemp and bamboo. Many of the dyes traditionally used to color fabrics and paint are sourced from plants. Herbal medicine dominated the medical world throughout all cultures on this planet for millennia. If we were to take a step back in time and walk into an apothecary shop in New York City 100 years ago, we would find its shelves lined with dried plants in glass jars for treating health disorders. These include grasses, leaves, bark, wood, flowers, oils, seeds, stems and roots. With mortar and pestle—still the symbol of drugstores today—the pharmacist would crush and mix the plants into herbal concoctions to be taken internally or applied externally. This changed in the mid-20th century with the industrialization and commercialization of pharmaceuticals. With the introduction of sulfa drugs and penicillin, the public embraced these scientific discoveries as magic silver bullets and many turned their backs on traditional herbal remedies as antiquated and backward, or even worse, as worthless or witchcraft. In the process, while millions of people benefitted from the new medicines, new problems and issues arose. People can die or develop serious problems from drug side effects, adverse reactions and allergies, toxic drug combinations and accidental overdose. Antibiotics are overprescribed, allowing harmful strains of bacteria to mutate and develop resistance to the drugs. Due to a rising mistrust and disenchantment with many Western pharmaceutical medicines, today we are once again seeing widespread interest in natural remedies and plant medicine. Safe for the most part and time-tested over centuries, we are discovering that many of these almost forgotten plants work just as well or better than modern pharmaceuticals—and usually without harmful side effects. For example, the culinary spice turmeric (Curcuma longa), which gives the yellow-orange color to curry as its main ingredient, has been the subject of thousands of research studies. It has strong anti-oxidant and anti-inflammatory properties and has been used for over 4,000 years in Indian Ayurveda and Chinese medicine. According to the University of Maryland Medical Center, turmeric compares favorably to drugs for treating indigestion, ulcerative colitis, stomach ulcers, osteoarthritis, heart disease, cancer, bacterial and viral infections, and neurodegenerative conditions. Other research confirms that turmeric is as effective as 14 common drugs. As another example, WebMD cites the use of our common garden-variety peppermint for treating the common cold, cough, sore throat, oral inflammation and other respiratory infections. Peppermint is also used to treat many digestive problems, including indigestion, morning sickness, heartburn, vomiting, nausea, irritable bowel syndrome (IBS), diarrhea and gas. It is used effectively as a painkiller when applied topically for headache, muscle pain, toothache, nerve pain, joint conditions and more. 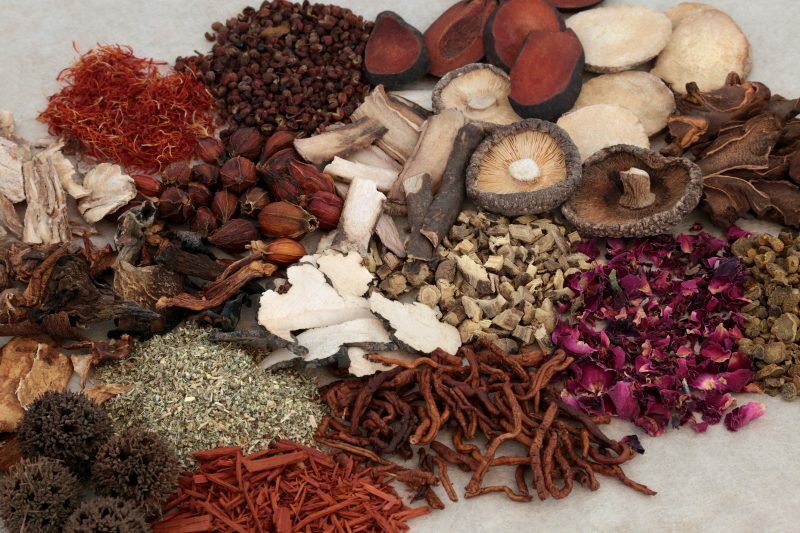 One of the world’s oldest and most sophisticated systems of herbal medicine is Traditional Chinese Medicine (TCM). China has had a written language and literary tradition for over 5,000 years; it has enabled TCM to be preserved, disseminated and refined throughout the nation for thousands of years. Historical records trace its earliest recorded origins back about 2,800 years to Shennong (translated as “divine husbandman”), who is said to have tasted and shared his findings of both medicinal and poisonous plants with farmers. His work, Shennong’s Materia Medica, is the oldest known Chinese herbal medicine text, classifying 365 species of herbal medicines. Many famous Chinese doctors have added to this list over the centuries; Chinese herbal medicine today uses over 3,000 different medicinal herbs. These might include all parts of a plant, including the root, trunk, bark, stem, leaf, flower, fruit and seed. It also includes minerals, and animal and insect-derived ingredients. Although there are a few Chinese herbal formulas that use only one or two herbs, most combine at least four or more ingredients. This is based on the “Hierarchy Principle” of the usual structure of a monarchical government, in this case meaning it includes a King herb, Minister herb, Assistant herb and Guide herb. The King herb is the most important ingredient in the typical Chinese herbal medicine formula, one that best addresses the main condition the practitioner is treating. The Minister herb helps to support and enhance the King herb function and to treat any secondary symptoms. The Assistant herb supports and reinforces the function of the other herbs; it also helps to moderate or eliminate any potential side effects of other herbs in the formula. The Guide herbs help to harmonize the entire formula ingredients; they guide the action of the other herbs to specific areas, organs or acupuncture channels within the body. Thus, Chinese herbal formulas that follow these proper guidelines should have little or no side effects when properly diagnosed and administered. be avoided. Our diets have a profound effect on our health, not just in terms of nutrients, but in terms of flavor, color, temperature and overall energetic effect. Diet is thus considered a fundamental part of staying healthy and treating health problems. Prevention is a cornerstone of Chinese medicine. Chinese cooking uses both culinary and medicinal herbs in dishes for their health benefits as well as for flavoring. In fact, most of the culinary herbs and spices in our kitchen have powerful medicinal properties as well as flavoring benefits. Cinnamon, for example, is one of the most popular culinary spices. It is also a rich source of antioxidants, has strong anti-inflammatory properties, helps to control diabetes and fights infections and viruses. Cinnamon may protect brain function and prevent cognitive decline and dementia associated with aging. It may also help lower cancer risk. It benefits heart health by helping to reduce bad cholesterol and by lowering blood pressure. We are intricately connected to the natural world and to the trees and plants that are our cohabitants and allies on our planet. The more we can stay awake to that connection and live accordingly, both we and our environment are sure to benefit. Jampa Mackenzie Stewart, MSOM, LAc, is a board certified acupuncturist, Chinese herbalist, tai chi and qigong master. He may be contacted at Valley Spirit Wellness Center, located in Washington Depot. Connect at ValleySpiritCoop.com, Jampa@ValleySpiritCoop.com or 860-619-2788.